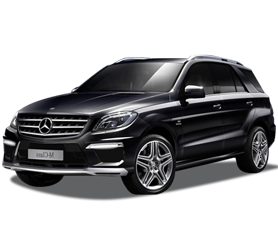 Rex Car Rental Cuba has just released the new Mercedes ML SUV 4×4 just in time for the December 2014 Cuba Car Rental bookings! Now available in Cuba, including Havana, Varadero, Santiago de Cuba and Holguin, the Mercedes ML looks more aggressive than past models, but without departing too far from the outward image too much. Inside, it’s soft and sedan-like, with lovely curves and sculpted lines making up the instrument panels, center stack and the seven-inch display for music and other controls. Sadly the Mercedes ML available in Cuba does not feature GPS Satellite navigation. Seating in the M-Class is about on par with that in other luxury SUVs its size and we took the car on a test from Havana to Varadero with 5 large adults and all said they found the car comfortable with plenty of space. Cushions are well contoured, and the front seats especially are like we expect from Mercedes, with all-day support built in. Rear seatbacks are also now adjustable for rake, and there’s more than 36 cubic feet of cargo space behind the second-row seats. We arrived at Jose Marti Airport and picked the Mercedes ML up from the REX Office in Havana airport so we were able to check the luggage capacity. We fitted 4 large suitcases in the back along with hand luggage, so essentially this is similar to a Minivan in size bith without the extra 2 seats. Although it does flaunt its off-road side in appearance, the 2014 Mercedes-Benz M-Class drives like a luxury sedan most of the time, with a smooth, refined character behind the wheel. 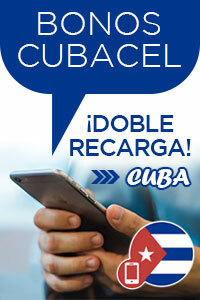 Our 300km round trip from Havana Jose Marti Airport to Varadero and back was a pleasant experience for all 5 passengers. The car is quiet, even on Cuban roads and eats up the customary potholes and road deficiencies found outside major cities in Cuba. Overall the new Mercedes ML from Rex Car Rental Cuba is an ideal choice. Note: As of writing this article, the REX Car Rental Cuba website had not been updated to include the Mercedes ML, however, when you book the Hyundai Santa Fe Automatic, you will receive this stunning Mercedes ML. Why are rental rates high? Day Trips & Overnights - Webster-Kirkwood Times, Inc.